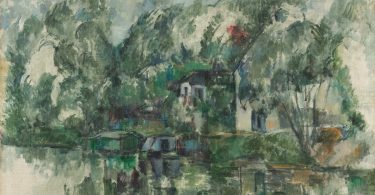 Guest post by Güneş Murat Tezcür & Clayton Besaw. 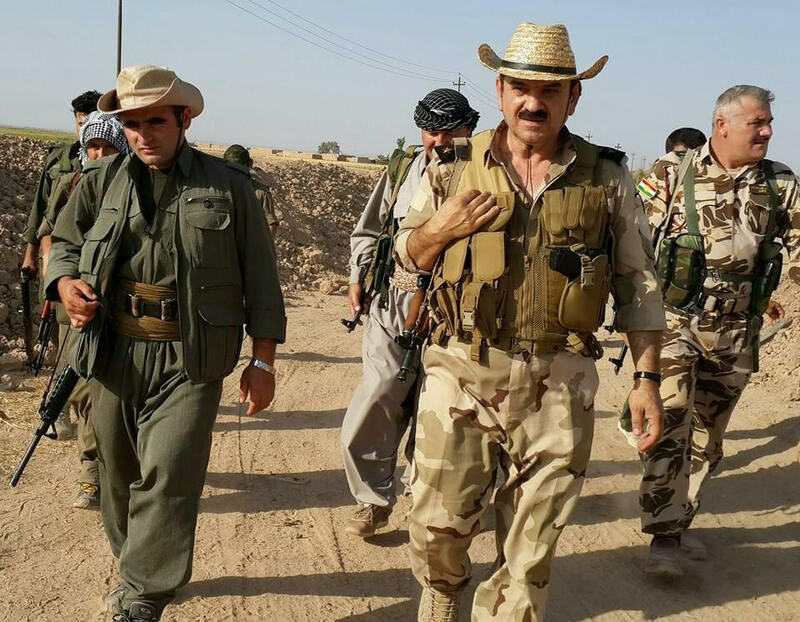 PKK and Peshmerga fighters. Photo via Kurdishstruggle. While the world has been focused on the violence and humanitarian tragedy in Syria, violence and civilian killing in Turkey has soared as well. Part of the reason this surge has not captured the attention of the media is the lack of data. The extent of the violence, its location, and the number of civilians killed in Turkey have not been clear. That has now changed and the patterns we see are eye-opening. 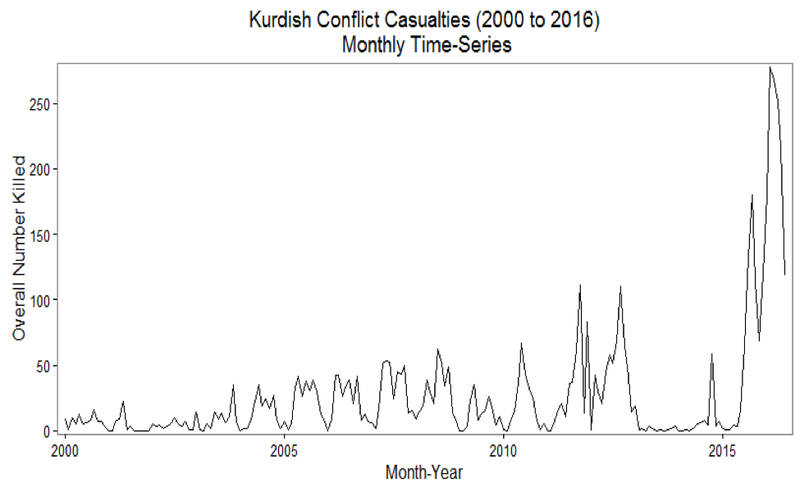 We have spent the last several years collecting data on the armed conflict between the Turkish state and the Kurdistan Workers’ Party (PKK). 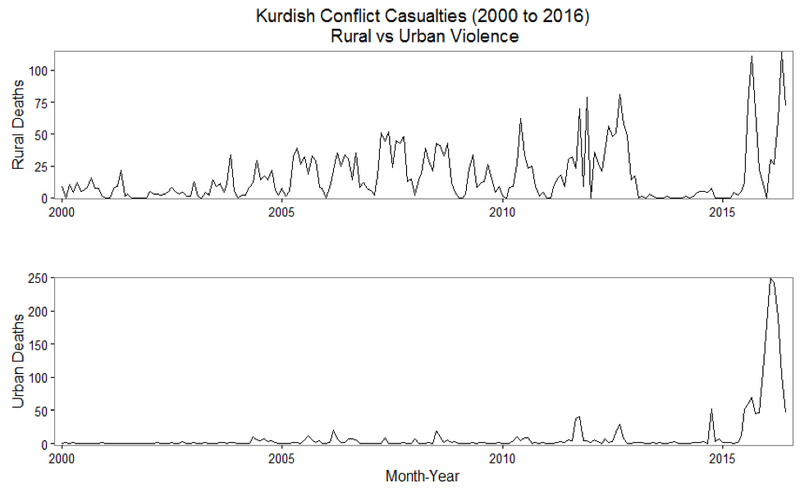 The new and regularly updated Kurdish Insurgency Violent Events (KIVE) dataset covers the conflict since January 1, 2000, and contains systematic information about the identity, number, and types (soldiers, police, pro-state village guards, PKK militants, and civilians) of fatalities, the day and specific geographic location of the violent event, the direction of violence (e.g., security operations, insurgent attacks, etc. ), and the nature of violence (e.g., bomb attack, firefight, etc.). In constructing the KIVE dataset, we employed triangulation and obtained information from a plurality of sources with different biases including announcements by the Turkish government and security forces, the PKK, Turkish media, pro-PKK media, and reports by local human rights associations in both Turkish and Kurdish. We only included well-documented fatalities (i.e., multiple and opposing sources acknowledging the death, the identity of the victim reported). Since each side has a tendency to exaggerate the number of casualties of the other side, we relied primarily on self-acknowledgements. While we cannot completely eliminate political biases in reporting and the fog of war contributes to uncertainty, the detailed and precise nature of the information in the KIVE makes it possible to identify the long-term evolution of the armed conflict in Turkey. In fact, this is the only dataset that currently exists with this information and time-frame on the conflict. Analyzing this data, we find two striking patterns. The first is a significant increase in casualties, not only since 2000, but especially since 2015. As Figure 1 reveals, a surge in deaths occurred starting in August 2015. The second is a period of almost no conflict-related deaths immediately prior to that – between early 2013 and mid-2015. What might be causing these periods of peace and violence? When we looked more closely at the data, we found two explanations related to political processes. The most serious attempt to achieve a negotiated settlement took place in late 2012 when the Turkish government initiated a series of meetings with the PKK leader kept in a Turkish prison since 1999. During this time, fatalities were reduced to very low levels. The only exception was the riots in Kurdish cities in October 2014 in reaction to the self-styled Islamic State’s siege of the Syrian Kurdish city of Kobanî. After the collapse of truce in July 2015, however, violence has returned with much greater intensity. This suggests that a temporary ceasefire can successfully reduce civilian suffering at least for a period of time. 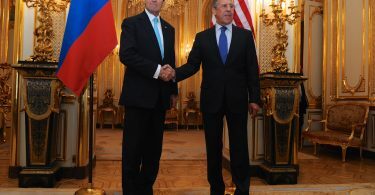 Of particular concern, however, is the significant rise in the number of people killed once the ceasefire broke down. Again, when we looked more closely at the data we found that two distinct dynamics were associated with this escalation. 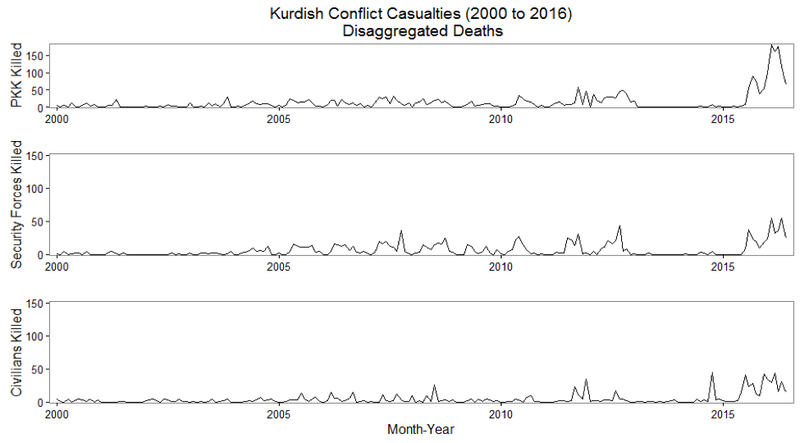 As Figure 2 reveals, most of the deaths prior to 2015 took place in remote rural areas (primarily in the border zone with Iraqi Kurdistan) between the Turkish army and PKK militants. In this locale it followed a cyclical-seasonal pattern based on geography. Summer and fall months characterized by high levels of violence were followed by winter and spring months with limited military activity. All that changed in the fall 2015. The major change that occurred post-ceasefire is that violence suddenly spread to urban centers. The PKK’s urban wing has established an extensive system of barricades and trenches in several cities and towns. In response, the Turkish security forces imposed indefinite curfews and staged sweeping operations supported by heavy weaponry. This urban warfare led to a significant increase in civilian deaths – something we have seen in the Syrian civil war, but not yet in Turkey. As shown in Figure 3, the number of civilian deaths skyrocketed with the rise of urban fighting. Around 37 percent of all civilian fatalities (326) between January 1, 2000, and June 30, 2016, took place since July 20, 2015. There were two reasons for this increase in civilian victimization. A primary factor was operations that pitted security forces against well-organized militants in heavily populated areas. Urban warfare destroyed entire neighborhoods and brought violence closer to civilians. Another important factor was PKK bomb attacks that directly targeted civilians in Western cities or security buildings in heavily populated areas. What do we take from this? First, serious negotiations and ceasefires have the potential to stop the killing if they are successful. They were not successful in Turkey because the gap between the insurgent demands and government reforms remained vast and there was no mutually hurting stalemate given the relatively low intensity of the conflict until 2015. Second, civilians are much more likely to be the victims of war when insurgencies infiltrate cities and government forces undertakes extensive counterinsurgency operations after failed negotiations. Finally, the conflict in Turkey and the civil war in Syria are very much intermingled. The PKK adopted urban warfare tactics employed in the Syrian civil war. The Turkish state views territorial gains by the PKK-affiliated-PYD in Syria as a direct threat. Consequently, political violence in Turkey would unlikely end without a modus vivendi between the Turkish state and insurgents regarding the Kurdish question in Syria. Güneş Murat Tezcür is the Jalal Talabani Chair of Kurdish Political Studies at the University of Central Florida. Clayton Besaw is a doctoral student at the University of Central Florida. Graph clearly shows no more than 300 civilian killed in a month? Where in Syria tens of thousands gets killed in a month. Basically 2000 people in a country of 80 million in a year is A lot less than number of people died in Traffic accidents annually?